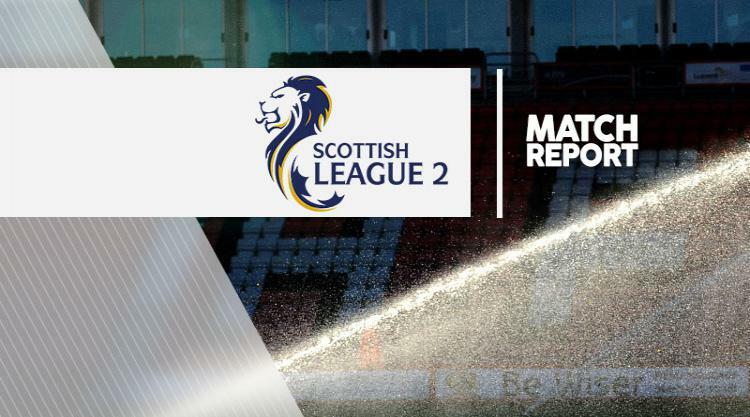 Arbroath cut Forfar's lead at the top of Ladbrokes Scottish League Two to six points with a comprehensive 4-1 win over bottom-place Cowdenbeath. Arbroath wasted little time making their superiority tell, with Martin Scott firing home from 12 yards after just five minutes. Steven Doris doubled Arbroath's advantage after half an hour and Liam Henderson turned into his own net nine minutes after half-time. Gavin Malin added a fourth after good work by Mark Whatley, with Scott Rumsby scoring a stoppage-time consolation effort. Forfar were held to a goalless draw by Montrose. Pat Scullion's own goal gave third-place Elgin a 1-0 win at Berwick, and Annan also cemented their play-off place with a 1-0 victory over Clyde. Maxwell Wright hammered home Annan's winner with 16 minutes remaining. Ross Kavanagh's 17th-minute winner eased Stiling's releagation worries as they beat fellow strugglers Edinburgh City 1-0.